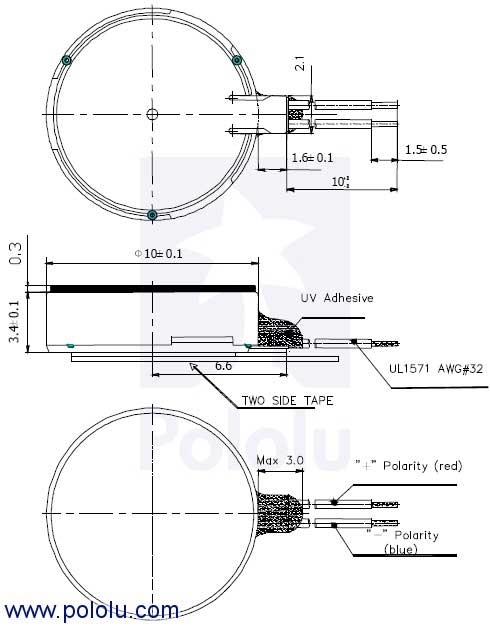 This shaftless vibration motor is fully-enclosed with no exposed moving parts. Its small size (10 mm diameter, 3.4 mm height) and shaftless design mean you can mount it on a PCB or even place it in a pocket to add quiet, haptic feedback to your project. 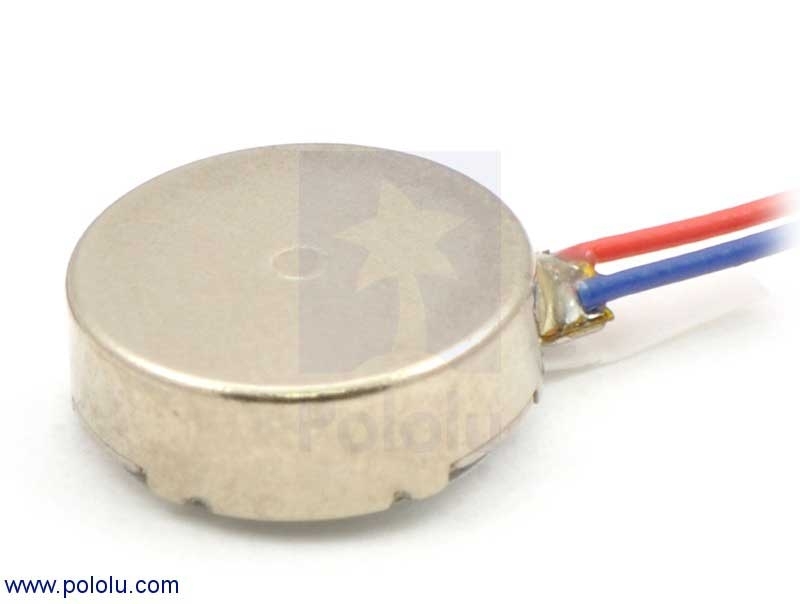 The motor has a 3M adhesive backing on it for easy mounting and 1.5" leads for making quick connections. Polarity is not important; the motor can run CW or CCW.